Flash Point 12mm Brass 1/10th Shock Pistons were tested and developed with newly crowned 2017 IFMAR World Champion Ryan Maifield. 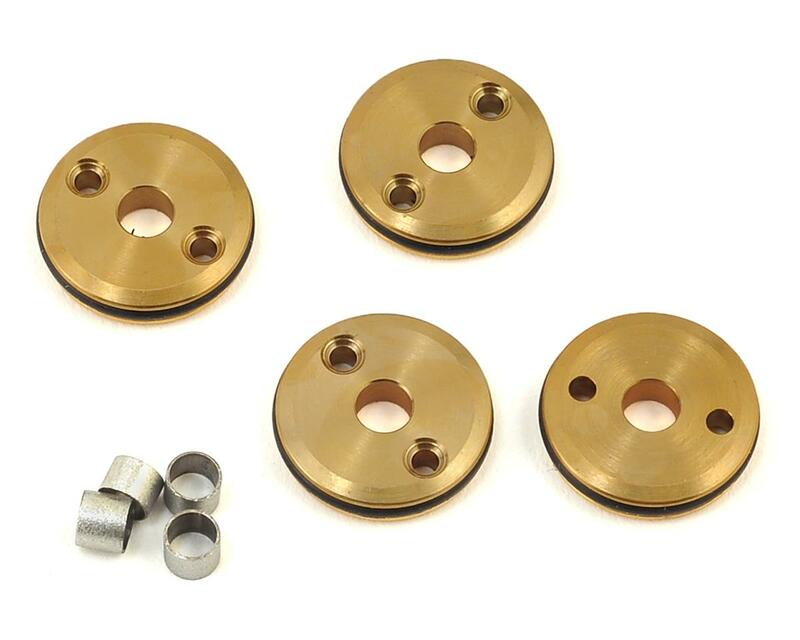 The Flash Point Brass Pistons feature a flat profile, with tapered holes to provide faster rebound. The increased weight of brass piston will slow down the shock shaft speed, resulting in smoother easy to drive feeling over bumpy surfaces. You’ll notice the vehicle is easier to drive and has a plusher feel over a wider range of surfaces. 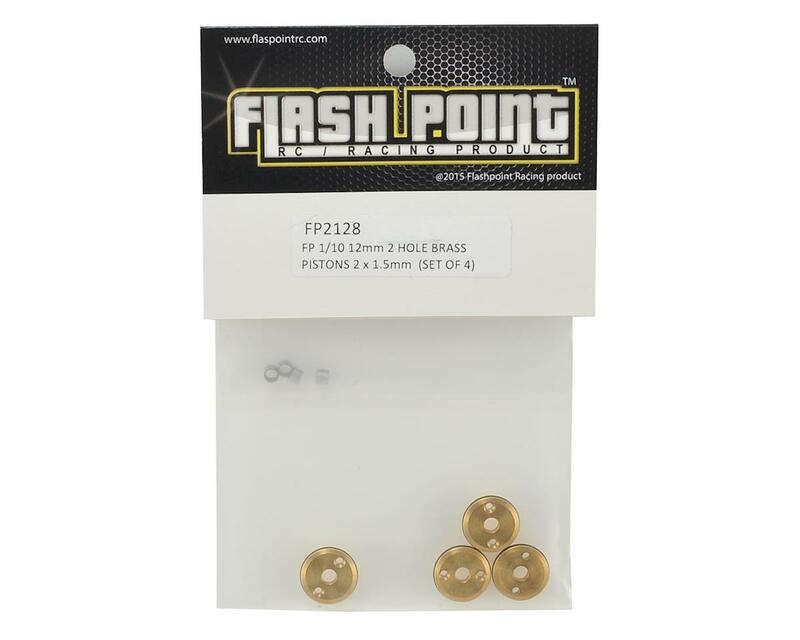 Flash Point brass pistons will provide you with the confidence to pushed harder over broken surfaces and improve jumping and landing.